Let Master Carver, Chris Pye be your instructor. Because of the launch of Woodcarving Workshops.tv, other work and family commitments, Chris can only offer limited opportunities for direct 1-to-1 instruction in the forseeable future. 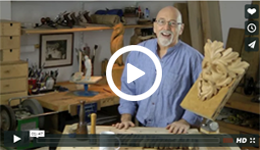 Woodcarving Workshops, with it's 600+ (and rising) videos, is the closest thing you can get to sharing a bench with Chris Pye, and some say it's even better than the real thing: it cuts to the chase, you can get him to repeat the lesson over and over, and you can be taught 24/7.The downside is that you don't get a cup of tea! 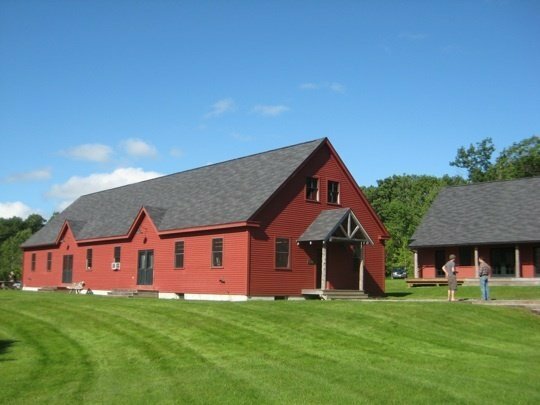 The Center for Furniture Craftsmanship, Rockport, Maine 04856. If you are an experienced carver who wants to expand your technical and creative skills, this week-long courses are for you - either as single weeks or back to back. All types of carving are welcome, including relief carving, carving-in-the-round, and lettering. Participants may embark upon new projects, bring work in progress, or choose to follow exercises that they work out with Chris. Through extensive personal supervision, demonstrations, shared class 'problems,' and individual exercises, Chris helps students deepen their understanding of woodcarving. In addition to the technical requirements of carving, instruction emphasizes the crucial aspect of woodcarving design: how to make carvings 'work' visually and aesthetically. Participants discuss their projects with Chris in advance to be sure that they come with designs appropriate to the scope of the course and their skill levels, as well as the right tools and materials.